This is by no means a definitive list, but there are more and more examples of famous musicians going against the grain (and against trends that they themselves have set) to meet their creative needs. This might be shocking news to you if you’re a purist but the thing is, Mayer has a point. Especially in modern music (especially pop) where instruments and vocals are layered up so heavily. It makes sense to give producers the ability to a) change effects and tones using in-the-box guitar simulation software like Guitar Rig from Native Instruments and b) find a pocket in the mix for the guitar. With loads of mics on a cab you’ll be taking up a lot of the EQ spectrum with bass, mid and treble frequencies. The ability to change tones is also important because pop producers will often have to change things like their kick drum or bass sounds, for example, and it’s important that they can easily get your guitar sound to sit in the mix and change things to do so if necessary. John Mayer turns up at studio sessions with his AKAI MPC so that he has a production and beat-making suite at his fingertips but mostly because he’s using the High Impedance input from the AKAI MPC to feed the guitar signal to the producer. Essentially, like a DI Box but with far more power. Why would you want to do this? Well, a DI would definitely do the trick because it’ll allow you to record a pure, clean and unaltered guitar tone into your interface. But you’d have way more fun and increase your ability to create if you used an AKAI MPC like he does. You can create beats and loops and use samples to make a bed of music to jam and play along to whilst recording a clean guitar signal that can easily be tweaked and morphed using plugins. Bon Iver released 22, A Million in 2017 and the first thought I had when I heard it was ‘this is music from the future’. It was so far beyond anything I’d heard before in terms of production, sound quality, songs and melody that I didn’t quite understand it. I decided to push through and persevere though because the melodies were there. And they were strong. After digging a little bit deeper I discovered that he’d actually recorded a lot of the album using the Teenage Engineering OP-1 Synth. This is a guy who’d become known for his organic and heartfelt sounds. Earthy and raw. And yet he threw that away in the pursuit of something real, that wasn’t actually real at all. By harnessing the power of digital, he made an album that reflects our modern technological world in the sincerest way. We can only speculate and use our knowledge and ears to guess how Bon Iver used the OP-1 but it’s clear that plenty of sampling went on. The OP-1 has a microphone and line-in so that you can capture sounds and samples wherever you are and Bon Iver did this to great effect. He captured the world around him and used the on-board synthesis to twist and manipulate the sounds into melodies and songs and then added trashy drums and organic instruments around these sounds to form slices of musical perfection. 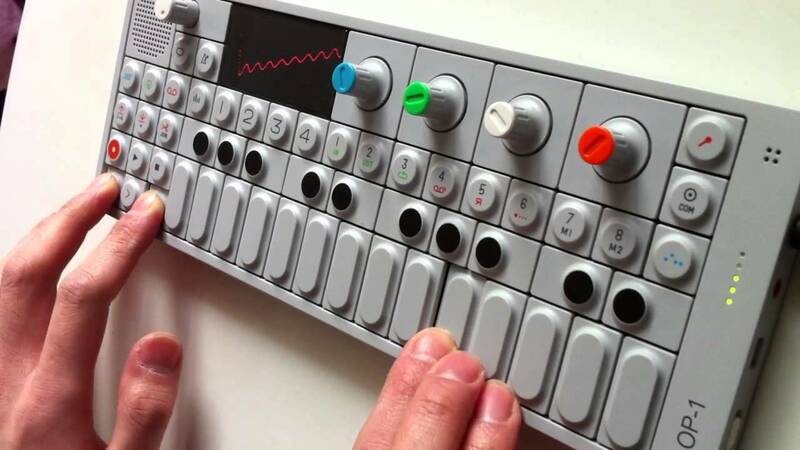 The OP-1 is ridiculously powerful when you consider how small it is and Bon Iver himself has said that one of the best things about it was its size. Small enough to throw in your backpack with a big enough sound to make one of the most musically challenging albums of the 21st century. Neat. Jennifer Batten’s Amp Weighs Less than 2kg! Jennifer’s setup (at the time of writing) revolves around four crucial elements: a BluGuitar Amp1, a BluBox Speaker emulator, a BluBox 1×12″ cab and a Digitech RP1000. All of these elements (minus the cab) sit comfortably at her feet, awaiting a regular stomping. The Amp1 and BluBox offer total control over the shape of her sound, while the Digitech unit provides all of her necessary effects and expression. 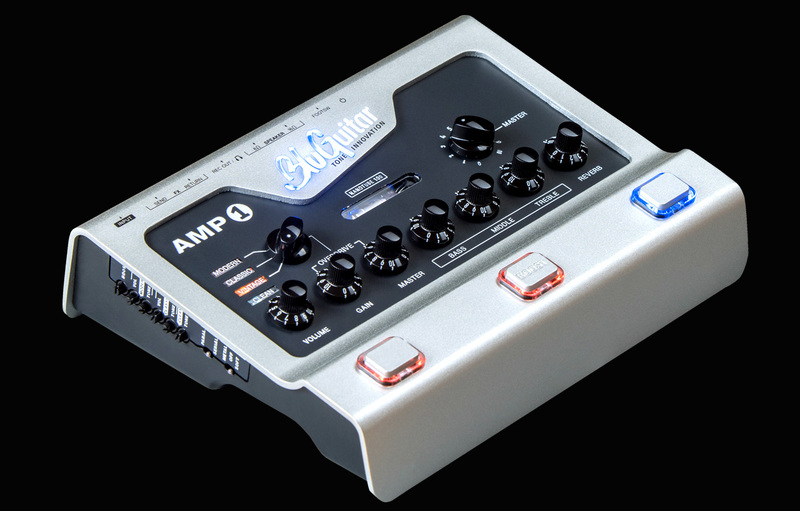 The BluGuitar Amp1 (designed by Thomas Blug, previously of Hughes & Kettner) offers 100 watts of single-nanotube power; Batten calls it a vintage Marshall Plexi that weights under 3 pounds. The BluBox speaker, also designed by Blug, provides a dazzling array of speaker emulations, including mic positioning and numerous ins and outs. So why does a guitarist of her calibre use such a stripped-back setup? Jennifer has repeatedly pointed out that travelling with heaps of gear is a genuine health hazard, and that having total control over your sound everywhere you go is a big bonus. If it works for her, it works for us! UK-based singer-songwriter Imogen Heap has never been one to shy away from technology and experimentation. Classically trained from a young age, she began exploring the use of technology in the early ’90s as a teenager. Fast-forward to now, and she’s among the most respected musicians in the UK, with a dedicated fanbase and reputation for thinking outside the box. Her experimentation with music technology spans a whole lot of instruments and techniques. She recorded one of her most popular tracks, ‘Hide and Seek’, using just a keyboard synth and a vocoder, giving a futuristic a cappella effect. At one point her live setup was housed entirely in a Grand Piano shell – synths, mixer, Power Mac and all. But one of her most daring, unorthodox and mesmerising experiments to date is the Mi.Mu glove. 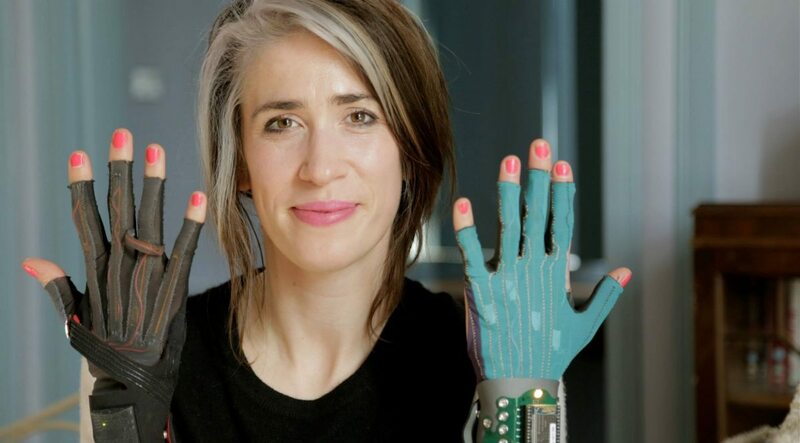 How does Imogen Heap use Mi.Mu gloves? Heap set about finding a more natural, human way of interacting with her music in 2009, when she became aware of wearable tech. She collaborated with a number of pioneers in the business, including Ellie Jessop and Kelly Snook (MIT), Tom Mitchell and Seb Madgwick, all of whom were instrumental in making this dream a reality. With funding from the University of West England and years of exhaustive trial and error, Heap finally landed on a winner: the Mi.Mu gloves. With one glove on each hand, Heap is able to control everything from arpeggiation, pitch, filter, patch changing, pan…the list of functions is endless. Each function is controlled by a unique gesture, whether it’s a point of a finger, a swing of her left arm, or a sweep of her hand from left to right. The motion is detected from the glove itself, and sent to a computer via WiFi, meaning minimal latency and maximum control. You can check out Heap’s in-depth TED Talk (including performances) by clicking here. Heap has repeatedly stated that she feels restricted by pushing buttons, moving faders and being glued to an instrument, so this allows her to freely explore her music in real-time & in a 3D context. She also believes that it makes for a more interesting, interactive performance for her audience! The gloves have since been used by a number of artists worldwide, including Ariana Grande. It goes without saying that you’ve got to break the rules in order to create something that hasn’t been heard before. Whether it be for simplicity like Jennifer Batten or to push music as we know it to the edge like Bon Iver. Either way, I’m excited for the future of music as more and more artists collaborate, break genre-defining rules and continue to explore sonically. Onwards and upwards. The humble electric guitar will continue to adapt and continue to be relevant thanks to players that use it for what it is. An instrument to create music with. If you enjoyed this article, you may want to check out our other Industry or Learn features while you’re here! Do you have any weird or outside-the-box elements in your setup? We want to know about them – drop a comment below! Jed has worked on our shop floor, handled guitar content on the site and now leads the digital content team. He's equal parts rock frontman/guitarist and wannabe folk singer-songwriter. Jed's a PRS, Tele and Orange Amps lover with an unhealthy obsession with fuzz, octave and ambient effects.